Giant Canes (Arundo donax): growing, planting, caring. 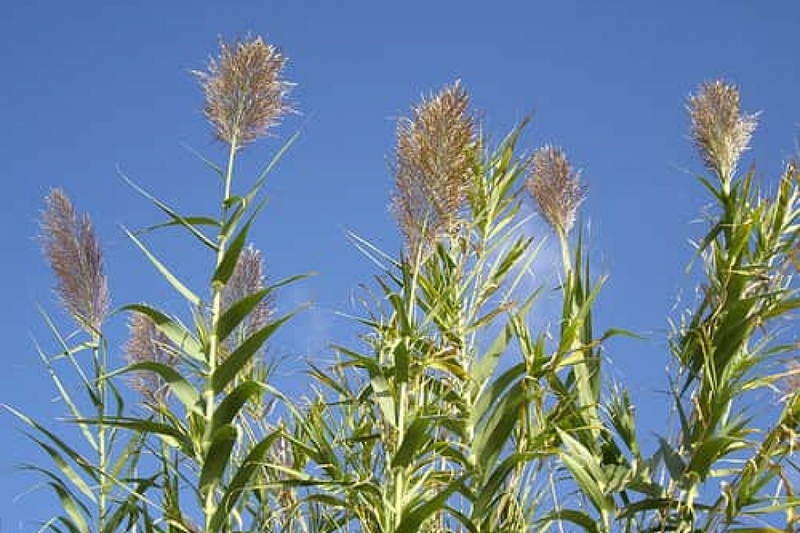 Arundo are tall perennial canes growing in damp soils, either fresh or moderately saline. Other common names include Carrizo, Arundo, Spanish cane, Colorado river reed, wild cane, and giant reed. Some grow up to 6 m but most varieties will stop at 2 or 3 m. They mostly reproduce vegetatively, by underground rhizomes - so better keep them in pot or grow varieties known to remain small. The giant canes look like corn that would form a colony. These are grasses sometimes up to 6 meters - more commonly 2.5 meters. The stems are thick, vertically erect, partially engulfed by long lanceolate alternate leaves. Flowering on the cob appears in summer in Mediterranean climate, and it is formed of groups of fine ears in "feather duster". This grass is multiplied by its rhizomes. The Giant Canes enjoys a good sunshine. Place it in a cool but well-drained soil, without excessive winter moisture as it does not support stagnant water, especially if the winter is harsh. Work the soil to a depth corresponding to a spade iron. Plant without burying the base of the stems. Tamp rather heavily around the roots. Water abundantly to promote rooting. Mulch especially the first years. Once installed, the Giant Canes will no longer need help. A mulch of wood, bark, dried stubble or mineral mulch - drier! fit. Minimum recommended thickness: 3 cm. You will not necessarily feel the need, but to multiply the canes of Provence, the easiest is the division of stump in spring. Using a shovel, simply separate the selected young stem from the mother plant and replant immediately. The first winters, mulch thick at the base of your young canes in cold climates.